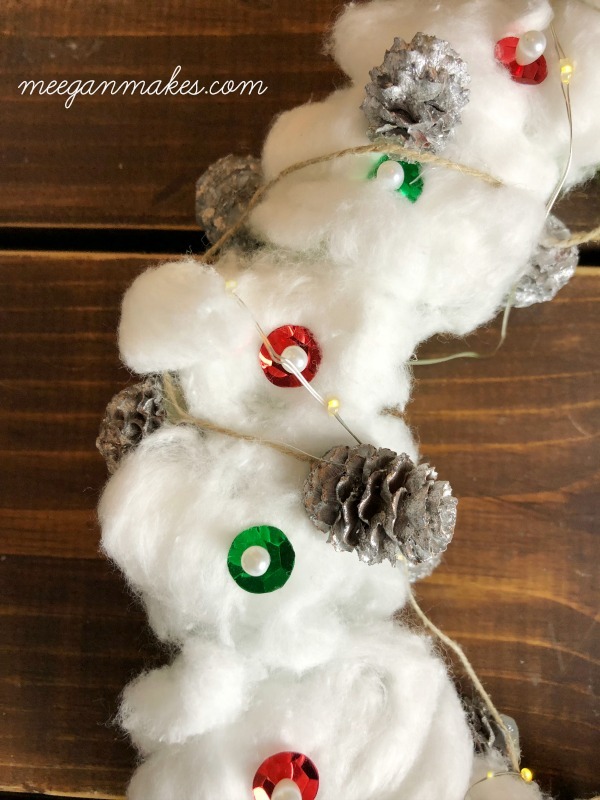 If you have visited my blog before, you will have seen my Cotton Ball Snowballs or Trees. 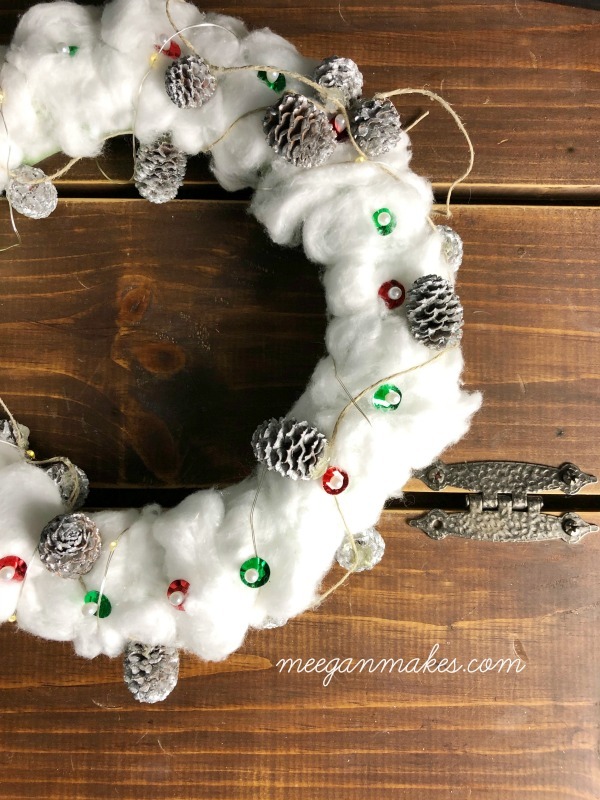 This week I thought you might like to learn how to make your own DIY Cotton Ball Rustic Wreath. 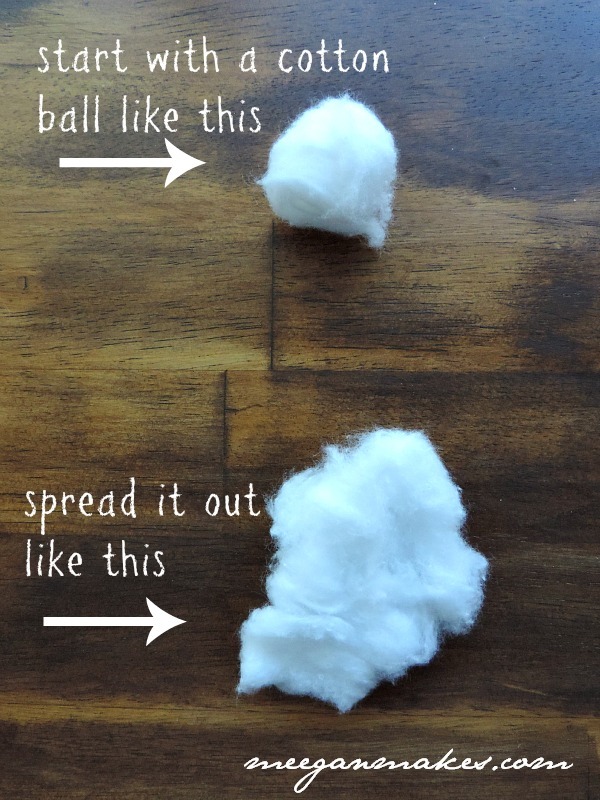 The first step is to carefully “spread out” each cotton ball. They can come apart easily, so be gentle. I use REAL cotton because it is more pliable. I have tried using synthetic “cotton balls” and they are not as easy to work with. The second step is place your sequins on your corsage pins. Now for the real fun. 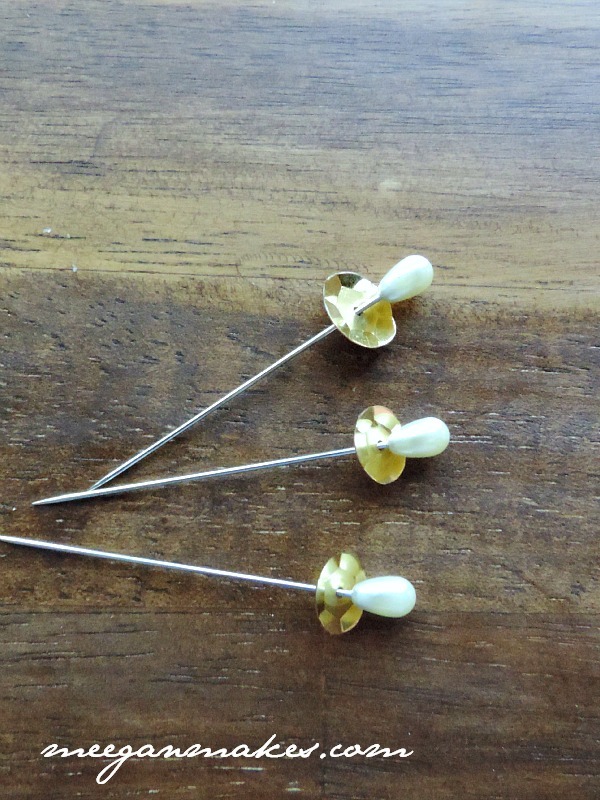 Place each of the corsage pins in a cotton ball. Then into the foam ring. Add as many cotton balls as you like. This is where your imagination and creativity can go crazy! 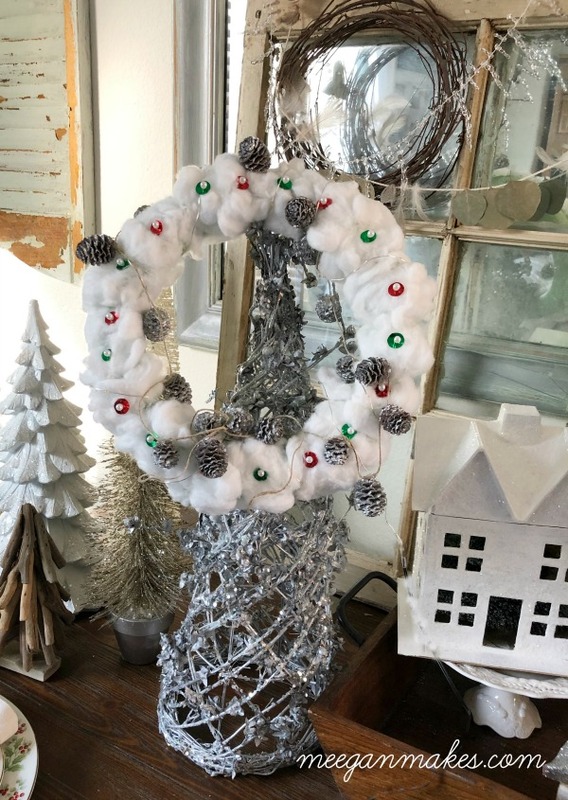 For my DIY Cotton Ball Rustic Wreath, I decided to use traditional Christmas red and green sequins. 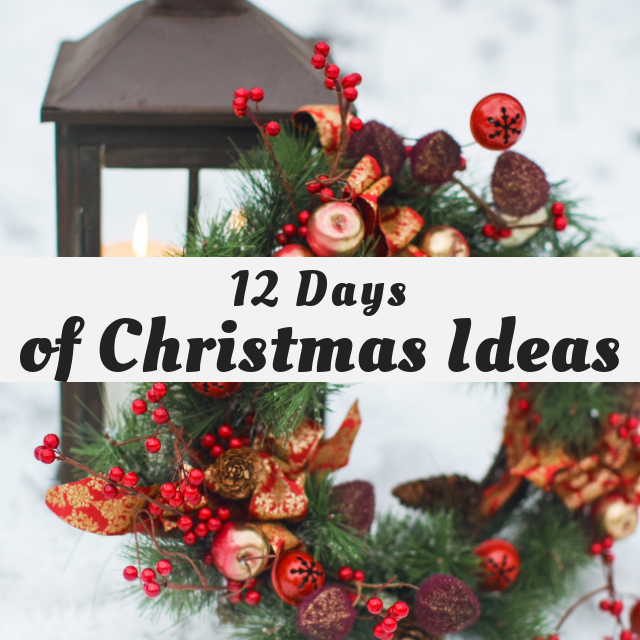 Once the foam ring was full of cotton balls, I wrapped a pinecone garland around the wreath, loosely. I really like fairy lights, so I wrapped a string around the wreath, as well. 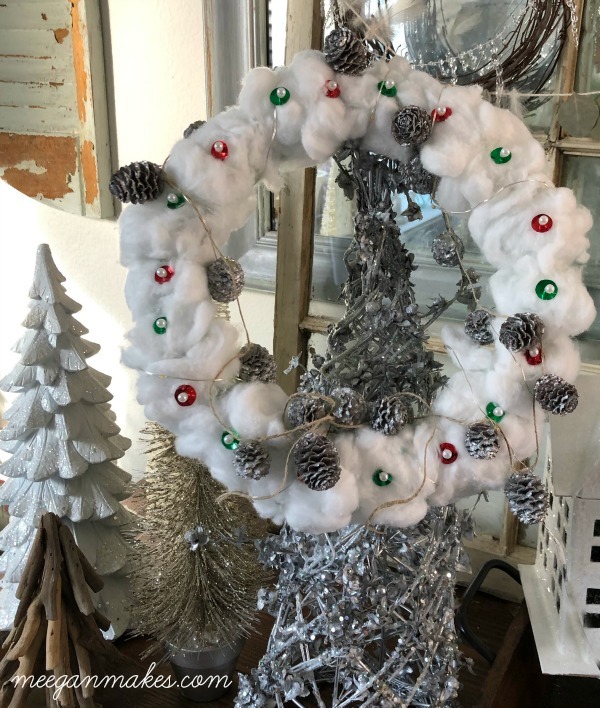 I just love how my DIY Cotton Ball Rustic Wreath turned out! It is perfect for any style or taste. It was SUPER easy and took me about 1/2 an hour-45 minutes to make. That’s my kind of craft! I hope you have enjoyed visiting my blog today. It has been a joy to have you here. I love how the wreath reminds me snowballs. It is so pretty. And fast and easy is wonderful also. Saw you on Christmas Cuties and wanted to see your pretty wreath. Love the cotton ball effect. This is super cute. Would be fun to make with friends or kids. Pinning. How cute is that! Love the combination of the real cotton and the corsage pins and sequins.